LET Holman INFINITI HELP YOU MAKE THE TRANSITION TO A NEW VEHICLE THAT MUCH EASIER! You have several options available all of which are listed below. Please call our Client Relations department to discuss further at (855) 754-7252, ask for James Ellis. 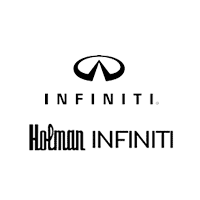 As an INFINITI loyal customer there are benefits to ending your lease with Holman INFINITI and getting into a brand new INFINITI. 1. TURN IN YOUR LEASE AND PURCHASE OR LEASE A NEW OR PRE-OWNED INFINITI. Whether you loved your current lease so much that you want to experience the same model, your family has expanded and you need something larger, or ready to just try something new, Holman INFINITI has a selection of models and options to help you transition to your next car. If you haven’t already, stop in and get behind the wheel to learn about the new and exciting updates of your vehicle of choice. As an INFINITI, loyal customer there are benefits to ending your lease with Holman INFINITI and getting into a new INFINITI. When you purchase or lease a new INFINITI, we’ll waive up to $500 of excess wear-and-use/excess mileage liability on your existing INFINITI Financial Service (IFS) lease. We’ll even waive your $395 disposition fee when you lease a new INFINITI on or before your current lease expiration date. If you are eligible for the early pull ahead, INFINITI may waive up to two remaining payments, and maybe more. See dealer for details! 2. PURCHASE YOUR CURRENT LEASED VEHICLE. Love your car so much you want to keep it? No problem! When buying out your lease, you may qualify for special INFINITI finance rates and we can explore the many coverage options available. With available extended warranty options to cover your vehicle up to 120,000 miles you will have peace of mind knowing you are in good hands with your ownership. 3. RETURN YOUR LEASE VEHICLE TO YOUR LOCAL INFINITI DEALER AND WALK AWAY. If you decide to move on from the INFINITI brand all together, there are steps to complete your lease return. Before returning your car, you will need to have your car inspected by A.I.M. Please contact A.I.M. for the end of lease vehicle inspection at 1-800-253-9026 or Schedule Online Now for a complimentary, but required, vehicle inspection. After the inspection has been complete, An AIM, certified inspector will provide an assessment copy of chargeable wear-and-use (if any), along with a Notice of Option to make repairs prior to return. Once this is complete, please contact your local authorized INFINITI Retailer 30 days prior to your maturity date to return, replace, or purchase your lease. Please refer to your lease contract to review all its terms and conditions. 4. NEED TO GET OUT OF YOUR LEASE EARLY? Unexpected lifestyle changes, like expecting a new baby or job change that is requiring you to drive more miles, don’t fret. There are several different ways to come out of your INFINITI early. Let’s set up a visit to go over all your options to see which works best for you. Contact us. Contact Holman INFINITI to discuss your lease end options today.